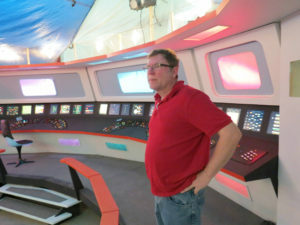 As you may have read in my blog about the history of Starbase Studios, these folks rescued the amazing TOS bridge set that had been built for the second Starship Exeter fan film “The Tressaurian Intersection.” That meticulous 360-degree set had been rotting away for years in a barn near Austin, Texas, until it was transported to Oklahoma City and lovingly restored by a group of dedicated fans. But these folks didn’t just restore the bridge set. They turned it into an invaluable, one-of-kind resource for fan film producers. Anyone was welcome to come and film anything they wanted on this bridge set (and, later, the additional sickbay and transporter room sets that would be constructed) for just the price of the electricity that was used (maybe $50/day). 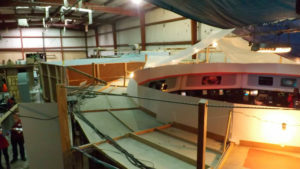 Although there are two other studios in the U.S. featuring TOS sets on sound stages (Ticonderoga, NY for Star Trek: New Voyages and Kingsland, GA, originally for Starship Farragut and later for Star Trek Continues), those studio runners didn’t offer the same kind of open-door, come-any-time-you-want policy as Starbase Studios. 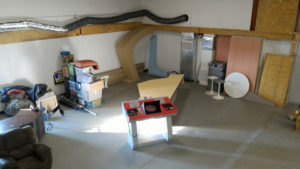 During most of this time, the Starbase Studios sets were all housed rent free in a warehouse near Oklahoma that was being only partially used by an estate sales company. 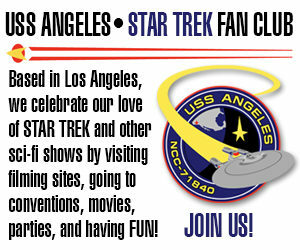 The owner liked Star Trek and agreed to let the sets remain there RENT FREE for nearly half a decade. Granted, it wasn’t exactly luxury real estate. There was no heat, no air conditioning, and no bathroom! But hey, the price was right. An overhead view of the Starbase Studios sets crammed into the warehouse in Oklahoma City. But all good things must come to an end, and a few months ago, the Starbase Studios folks were told that their landlord was selling the building. They would have to move out and find another place to store their sets….and the clock was ticking. They only had until the end of the year! But could Starbase Studios possibly find another location willing to offer them free rent? Without that option, things looked pretty dire. Before I tell you what, I need to introduce you all to two very special fan filmmakers: GLEN L. WOLFE and DAN REYNOLDS. Glen is a self-employed biomedical equipment technician who services medical equipment in Northern Illinois, Indiana, and Wisconsin. 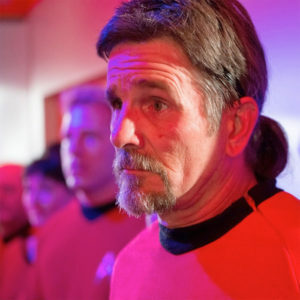 If you visit Glen’s IMDb page, you’ll see him having participated in a dozen different Star Trek fan films and series stretching back to 2013, including Star Trek: Renegades, Horizon, Deception, Secret Voyage, Ambush, Equinox, Temporal Anomaly, Starship Valiant, and multiple episodes of New Voyages and Continues. He’s worked on fan films as an actor, producer, cameraman, electrician, and art designer. Dan has been producing “How To” videos since the early 1990s. For the past 20 years, he has owned two TV stations in northern Arkansas, one in Harrison and the other about an hour east in the small town of Mountain Home. Several years ago, Dan purchased a large building which measures about 7,000 square feet. He had plans to build several sets for local TV productions and a syndicated show, but that never took off. So today, Dan maintains the building as offices for himself and his two sons, but he’s never utilized the space to house sets. Glen and Dan first met each other on the Star Trek: New Voyages sets back in 2014 while helping in the production of that fan series’ episode “Mind-Sifter.” The following year, they were both back up in Ticonderoga working on “The Holiest Thing.” This time, Glen and Dan struck up a friendship, bonding over–what else?–making TOS fan films! 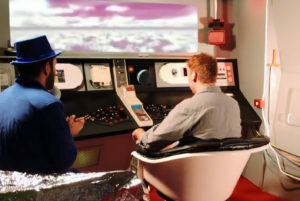 In fact, Glen was in the process of writing and directing a fan film of his own featuring none other than Harcourt Fenton Mudd, and Glen was excited over finishing his fan film during the coming year and releasing it on the 50th anniversary of Mudd’s first appearance on Star Trek back on October 13, 1996. Does that shuttlecraft console look a little…familiar? Although Glen worked diligently alongside Starfleet Studios’ producer David Whitney (who also plays Harry Mudd in the film) for many months, “His Name Is Mudd” still remained unfinished as of just six months ago, and it was looking like it might not make the October 13 deadline. Increasingly concerned with the delays in completing the project, Glen talked to his friend Dan while they were both working on the New Voyages episode “Torment of Destiny” (not yet released) this past summer. Dan offered to help move the project along by editing some scenes. After all, editing is one of Dan’s specialties. So Glen sent Dan links to the footage and what scene he wanted edited…and Dan had it finished that afternoon! Glen was flabbergasted. He gave Dan footage for another scene, and that one finished in record time, as well. It wasn’t long before Dan was knee deep in the project. Glen asked Dan to do editing, sound design, foley, ADR, special effects, planets, and a whole bunch of other stuff…and Dan was only too happy to say “yes” and help out a friend. Over the ensuing months, the two traveled to Iowa, New York, and Oklahoma shooting the remainder of the scenes to meet the deadline. And they did! The Federation Files “His Name Is Mudd” was posted to YouTube on October 12, 2016. Working together so intensely in the fan film “trenches” cemented the friendship between these two men. They quickly realized that they were a perfect team to get their passions for Star Trek fan films conceptualized, scripted, produced and released in short order. With James Cawley’s two old bridge consoles (plus two other consoles and James’ old command chair), they now had half a TOS bridge set to work with. There was also the shuttle interior set that Glen had built. And of course, Dan had that building he owned in Mountain Home, Arkansas with all that free space (and free rent!). So Glen started moving his set pieces from Illinois and Iowa down to Arkansas. During this time, they heard that Starbase Studios was losing their lease and would have to find a new space. Although the initial hope was to find a way to keep the sets in the Oklahoma City area–as many locals worked on the various productions there–the challenge was finding a place they could afford. Even rent as low as $500/month would translate into several thousand dollars a year…and that ain’t chump change! Plan B was to move the sets 333 miles eastward to northern Arkansas. Although a 6-hour schlep from Oklahoma City for the locals who wanted to keep working on it, the obvious advantage was that the sets would be housed in a facility that was rent free…AND also had a bathroom! In addition to that, rather than being in a freezing-cold-in-winter or super-hot-in-summer noisy old warehouse, the sets would finally be located in an actual sound stage intended for television production. And the building was not only owned by a Star Trek fan but by an actual fan film-maker who wasn’t likely to suddenly decide to kick them out. Also, the town of Mountain Home, AR, despite being fairly small (population 14,000) and out-of-the-way, does offer a lot of amenities…along with a relaxed environment to get a fan project produced. Close to lakes and a lot of peaceful outdoor vistas in the Ozark Mountain range, the area also provides options for on location filming or just a place for cast and crew to relax and clear their heads after long days of filming. Some of the set pieces have already been moved to Arkansas from OKC. These are sitting in a corner that will ultimately become the briefing room set. So the decision was made to move the Starbase Studios sets to Arkansas. This will give the new facility a sickbay set with two med beds, a transporter room, a partial briefing room, and a 360-degree bridge. These sets will get added to the shuttlecraft set and the half-a-bridge that will already be there. And what does Starbase studios plan to do with one-and-half TOS bridge sets? They’re going to refit the half-bridge into a Pike-era “The Cage” set for fan films looking to take place in an earlier period. (How cool is that?) They’re also planning to build a crew quarters set and a partial corridor. But wait…that’s not all! Dan already has sound and video equipment that will allow fan productions to film at 4K resolution (sure beats a camera phone). Dan is also available for quick-turnaround production and editing. Glen offers a wide range of skills, as well. 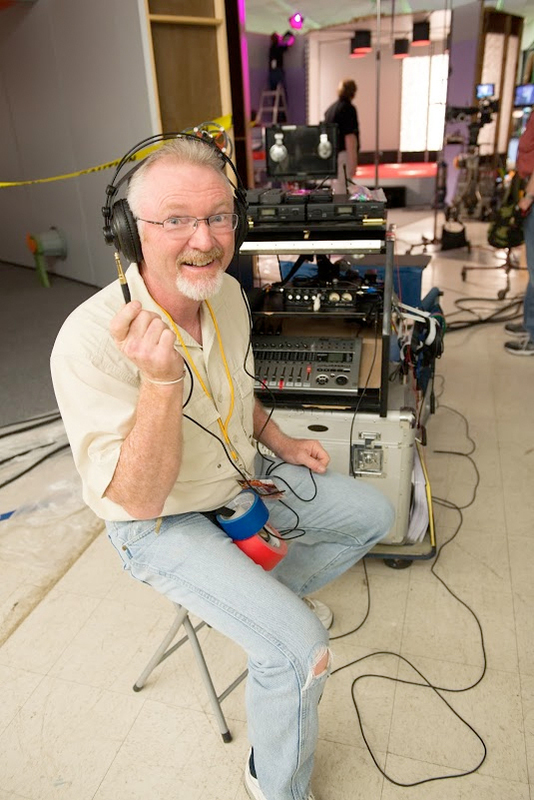 In addition to prop and set building, Glen is a phenomenal screenwriter and is able to take a story idea and turn it into a readable script very quickly. Scott Johnson, who has been the co-runner of Starbase Studios for the past 5 years, will be staying on, lending his extensive collection of lighting equipment (and lighting talents, when requested) to the new facility. So the new Starbase Studios (and A Wolfe Reynolds Universe) entity will help fans make their own films with as much or as little input/help as requested. They want to offer to anyone who has a story idea–either Star Trek related or otherwise–their expertise in screenwriting, camera operators, lighting, editors, make-up, and all aspects of film making so a fan producer can walk on set and, within a few days, have every element of the process perfectly executed and ready for post. That is something that is hugely lacking in many fan films. The fun part is shooting and acting, but many projects get bogged down and delayed in post-production. Once finished, these fan film-makers will be invited (if they’d like) to release their production under The Federation Files brand “umbrella” so their work becomes part of a larger portfolio, available at a single online location on the www.thefederationfiles.com website that shares marketing and publicity. Right now, though, the main goal is to get all the Starbase Studios sets packed up, transported to Arkansas, and reassembled in the new facility. This is no small task!!! 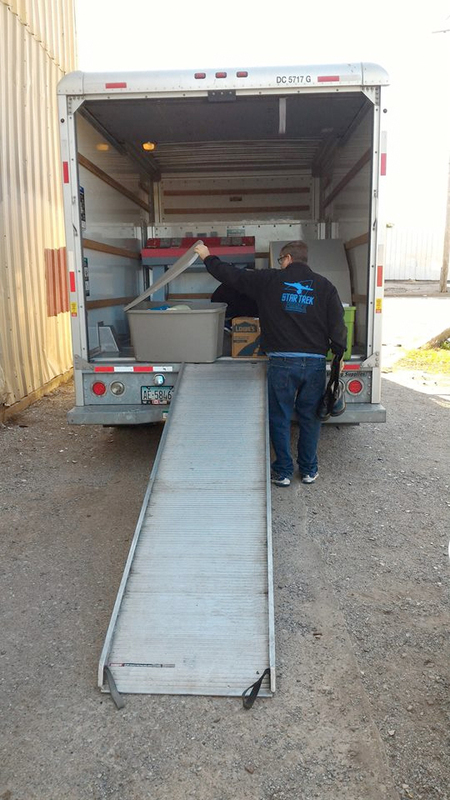 Glen has already made one 333-mile trip to move some of the smaller set pieces in a U-Haul truck. Glen is willing to commission a semi truck to finish moving the larger set pieces in a single trip. That means that Dan and Scott need to coordinate the disassembly, identifying and cataloging everything at the old Starbase Studios facility. Then, once the semi arrives, Scott will stay in Arkansas for whatever time it takes to get the set pieces back together and in working order. There are obviously costs both in terms of man-hours and also money to rent the trucks and gas them up. Glen so far is doing the driving and much of the heavy lifting himself. He is also up-fronting the costs as things need to be paid for. But Glen’s not part of the 1%, so him paying out of pocket is mainly because this is a “rescue mission” and time is running out. However, there is currently an active GoFundMe campaign trying to raise $3,500 to reimburse Glen. As I write this, they’ve just crossed $2,000. Every little bit helps, though, so please consider donating something if you can. Once the new facility is set up, Glen and Dan intend to hit the ground running with the first-ever Arkansas-produced fan film for The Federation Files, an original story about the crew of the U.S.S. Hood entitled “Doppelganger.” Dan wrote a simple outline one evening, emailed it to Glen, and 5 days later he delivered 20 pages of dialog. Glen expects to have the script finished soon, and Dan estimates that they’ll have their completed movie (two 15-minute parts to comply with the CBS guidelines) done in about four months. They’ll likely try crowd-funding the money they need, so look for that campaign soon here on FAN FILM FACTOR. Dan, Glen, and Scott love Star Trek as much as any fan, and they knew that if this move didn’t take place, Starbase Studios would have most likely been stored in a barn somewhere. 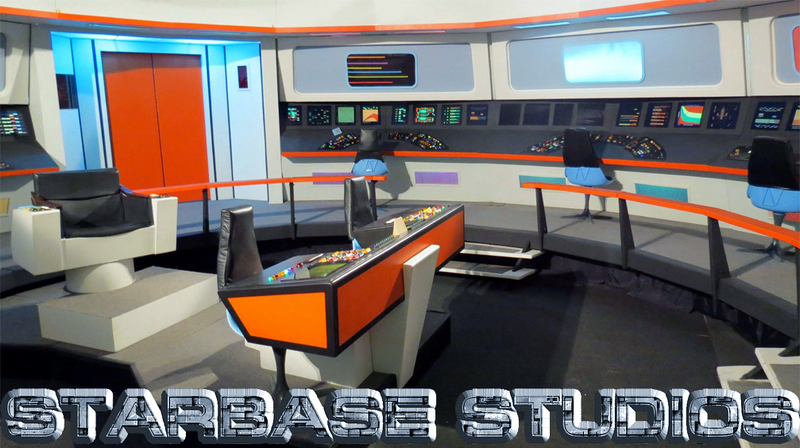 Their dream is to keep Starbase Studios alive while injecting a new element in managing productions in a way that not only complies with the fan film guidelines but allows the most ardent fan a place to become a part of the legacy of Star Trek. As soon as those godawful “guidelines” are modified (and let’s face it…they’re not going to be done away with by any means), maybe fans will be able to start making great classic Trek again! A formidable proof that the ability to gather production materials does not belong only to major studios and that independant units might well be the future form of structures the business will have to deal with. Imagine what they could do if they decide to go beyond Star Trek and produce original contents… Seems we have a terrific team here, wish them the best. I sincerely applause the concept of hosting other projects and sharing sets. That is the good Star Trek spirit !!! Mountain Home’s a neat enough place. Gorgeous area for outdoor scenes. Previous Previous post: LEGAL REPLIES filed by both sides in the AXANAR LAWSUIT!